Combine ground chicken, barbecue sauce, green onions, salt, and pepper. Form into four 1-inch-thick patties. In 12-inch nonstick skillet, heat canola oil on medium; add patties. Cook 7 minutes per side or until cooked through (165°F). Top each patty with 1 slice sharp Cheddar cheese; remove from heat and cover skillet to melt cheese. Serve on whole wheat buns topped with green apple and microgreens. San Diego is known for its amazing seafood and Mexican dining options, ranging from taco stands to fancy restaurants. Kiko’s Place (the “place” actually being a mobile food truck) takes the best of both worlds and serves delicious Mexican-style seafood dishes! 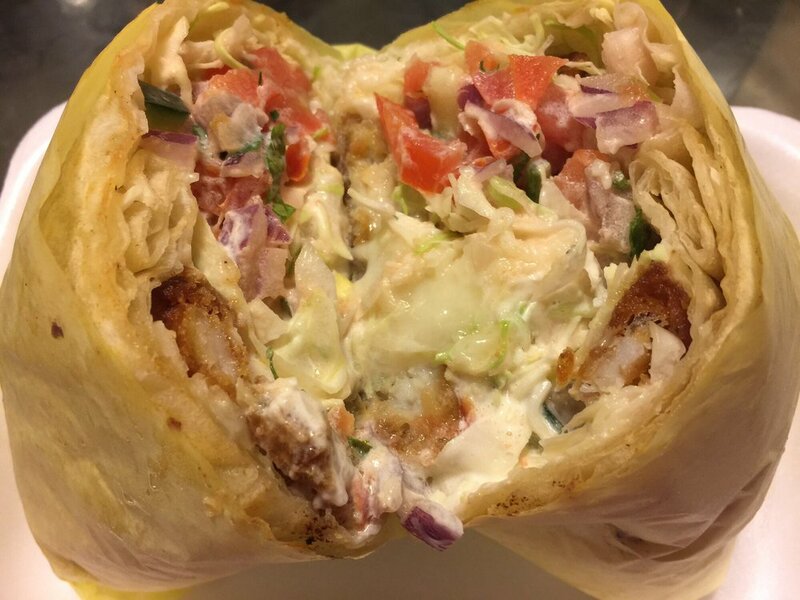 They are well-known for their quality fish tacos offering everything from octopus to shrimp! They also serve different kinds of ceviche, oysters, clams, quesadillas, burritos, and more. Their fish items are always fresh and match the quality of seafood served by other highly esteemed, San Diego restaurants. Their primary location on Texas St is always busy especially during meal times so make sure you get there early to beat the crowd! 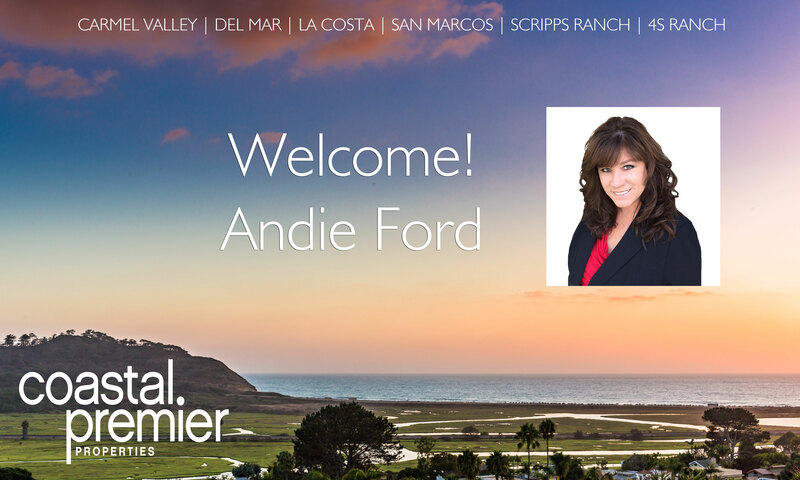 Coastal Premier Properties is thrilled to welcome Andie Ford! Andie will be working in both San Diego and Temecula! Andie Ford is known for her great customer service, consistent communication, and strong attention to detail. She does everything she can to ensure a positive experience for her clients, only taking on a project when she can give it the full measure of her attention. Moreover, she works diligently with her clients to identify the best options in order to streamline their search process. In her tenure in the business, she has first and foremost strived to be someone in whom her clientele and colleagues can put their trust and faith. Every transaction, she believes, is always about her clients. “In every transaction I help to educate, to be the guide and to provide the best service possible.” Andie’s success has also been the result of her professional demeanor and dedicated work ethic. She knows how to listen; her main intention is to understand her client’s needs and build a relationship that will last a lifetime. Click here to contact Andie. To learn more about Coastal Premier Properties, visit our website! Looking to do something a little different during your bathroom remodel? Bronze accents are a hot bathroom design trend! This earthy gold color provides just the right amount of shimmer and can work well with a variety of styles. Take inspiration from our favorite Pinterest finds below and swap out your faucet, sink, or curtain rod with pieces in 2017’s hottest metallic! In a 12-inch skillet on medium-high, cook bell peppers in vegetable oil for 3 minutes. Add garlic; cook 30 seconds. Add ground turkey and fish sauce. Cook 5 minutes, break up meat. Stir in cilantro, mint leaves, lime juice and sugar. Serve in lettuce cups with Sriracha hot sauce, if desired. If you’re in the mood for the best BBQ in San Diego and you’re looking for some place that isn’t Phil’s, Oink and Moo is well worth the drive up to Fallbrook. Just make sure you make a reservation as seating is limited! Oink and Moo primarily serves burgers, BBQ, and stuffed pork chops. If you’re looking for BBQ, get either the pulled pork sandwich or one of the platters. We recommend the rib sampler platter which comes with a little bit of everything: Baby Back Ribs, Pork Spare Ribs, and Bronto Beef Ribs. On the burger side of the things, you can’t go wrong with the Oink a’Doodle Moo, which is a burger topped with a fried egg, bacon, and your choice of cheese. You can also BYOB (Build Your Own Burger). The OINK brand on the burger buns is a nice touch! They also have specials including rare meats like alligator! For sides, we recommend loading up on the mac n’cheese, waffle fries, onion rings, tater tots, and biscuits. The sides are almost as delicious as the main course! Oink and Moo is open Wednesday through Sunday for dinner – come hungry and bring the whole family! 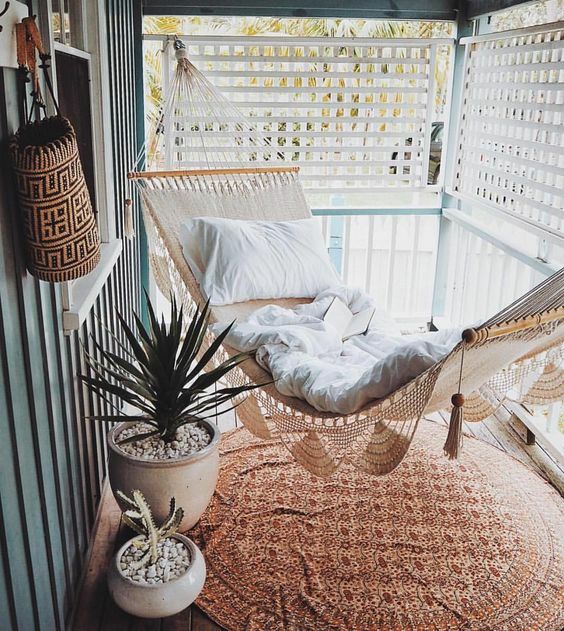 Hammocks can be added to a porch, yard, or room to provide an interesting focal point in your decor while also making a great lounging spot. 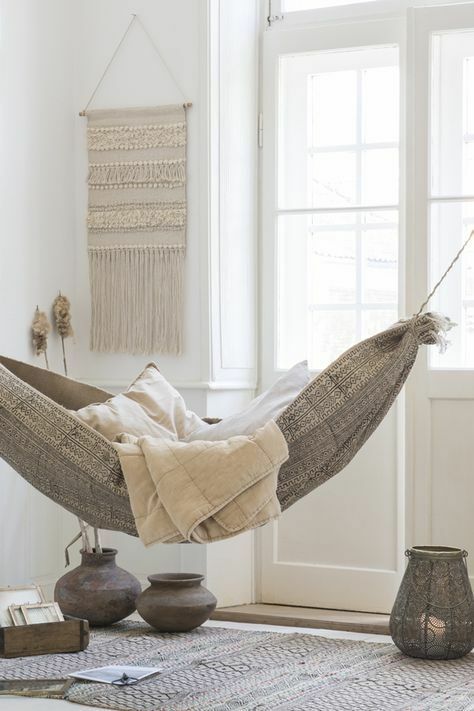 They help fill a large space and come in many fashionable styles that you can tie into the rest of your home’s design. 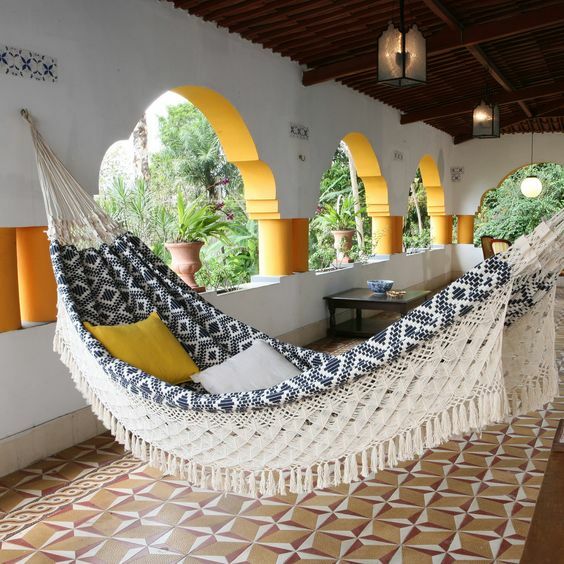 Whether you hang a hammock inside or outside, take inspiration from these five ideas for stylish hammocks!